Daddy had to make a trip out to San Jose for work this week. It had been so long since the whole family was able to take the trip back to our old stomping ground. So we decided to make it a family affair for the long Labor Day weekend. Brandon had to work the first day so Mommy took the girls to one of their favorite children’s museum in downtown San Jose. Here they are cruising the sea near China for some fish. 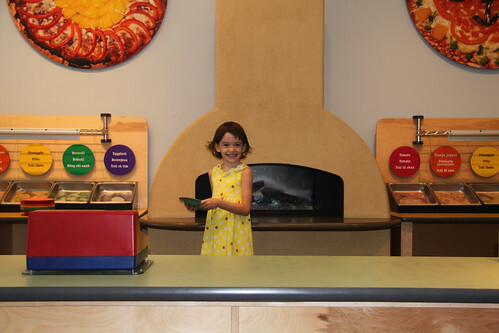 The favorite spot of the day seems to still be the pizza kitchen. I must have been served at least a dozen different pizzas today. 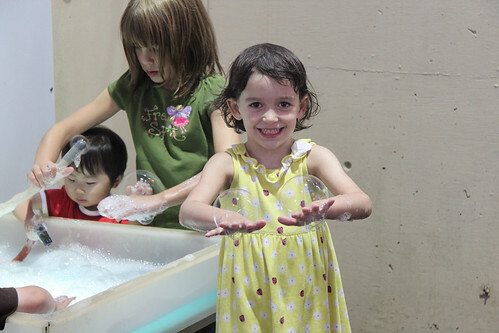 Next up, the bubble exhibit. 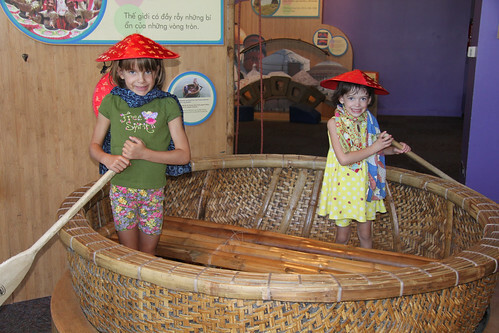 In prior years this was never one of the girls favorite exhibits. 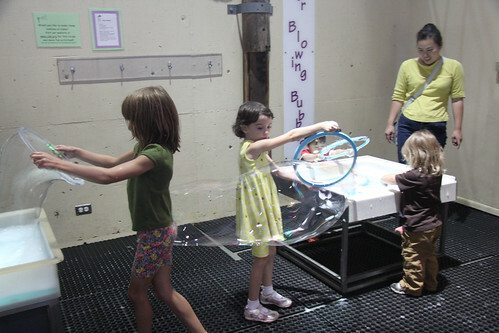 They didn’t quite get how to make big bubbles. But, this year they finally got their bubble skills. Reagan was the best at making these gigantic bubbles. While Sydney favored the “bubbles on your hand trick.” She was gracious enough to let Reagan hold a few of her bubbles. What a great big sis! 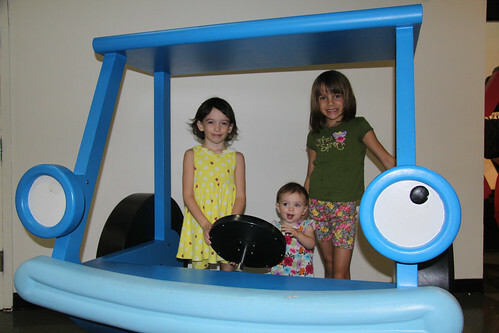 The special exhibit this time around was centered around the Bob the Builder TV show. While Kayla loved this room, the big girls thought is was babyish and boring. So we had to have a little discussion about letting your little sister have some fun too. Afterwards, they were great showing their baby sister a good time. 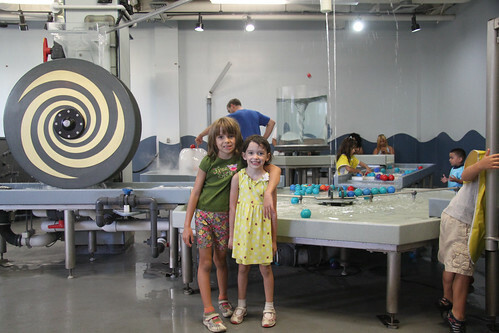 And at last, the water room. 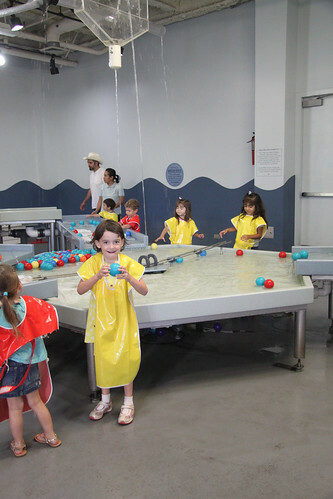 I think this is one of the best water play areas in any Children’s Museum around. They have all types of contraptions to send the balls flying through the air. All powered by water pressure. 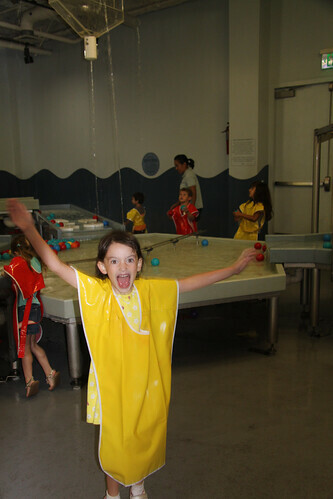 We always save this exhibit for last because the kids are drenched by the end of the activity. And you don’t want to be near Reagan when her clothes are wet. Its not pretty. Another great trip to the museum. Hoping that my girls don’t outgrow this one too soon. I love seeing them running around here just being kids.